Plastic Engraved Name Bages offer a different look than the color name badges.?? You can still have a company logo on the badge, but it is etched into the plastic in a single color. Engraved Acrylic plastic name tag. 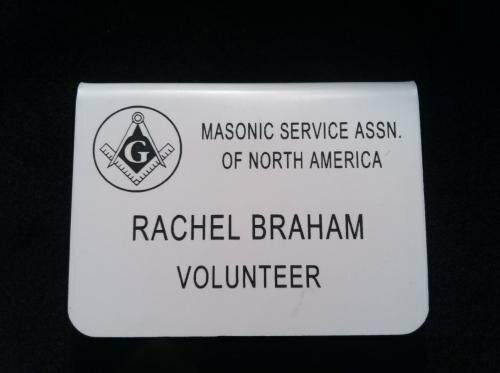 This line of name badge is the standard in name badges with optional background and engraving color. The engraved badges can only have the background color and the engraving color. This is the economy name badge that still offers a good look. 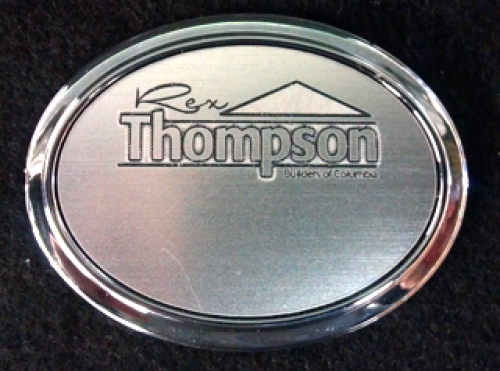 You can add your business logo or church logo to this badge for no additional charge. Engraved Acrylic plastic name tag. This line of name badge is the standard in name badges with optional background and engraving color. The engraved badges can only have the background color and the engraving color. This is the economy name badge that still offers a good look. You can add your business logo or church logo to this badge for no additional charge. The pocket badge slips in the pocket of a coat or shirt. 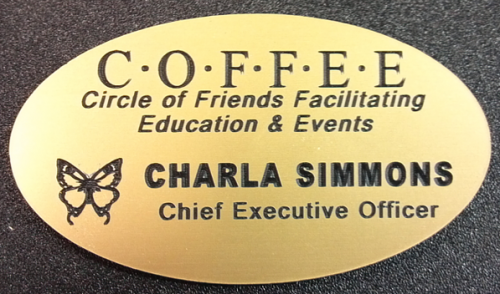 These oval name badges offer the background color of choice with a silver or gold backing on the plastic badge.